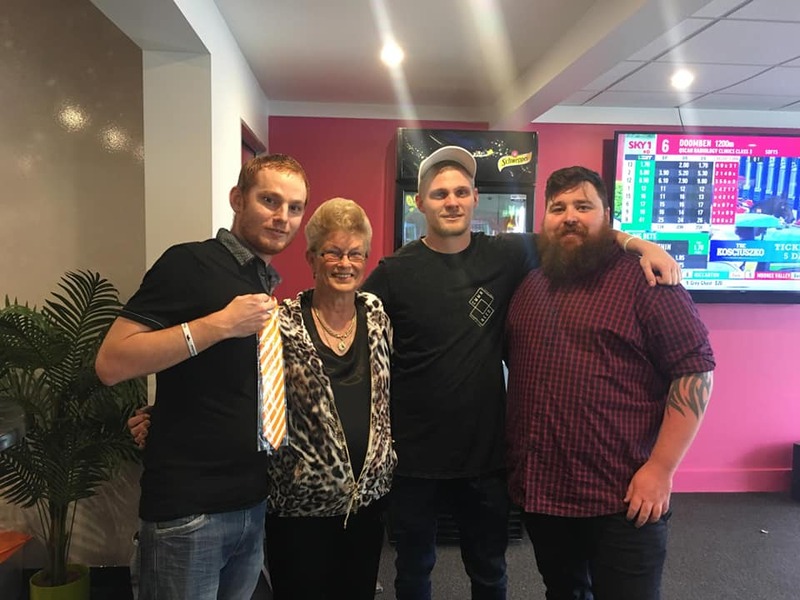 On Saturday 8th September, at the Pinkenba Hotel in Brisbane, a Facebook Group called the Punters Partner organised a charity event with the supported charity of choice being the National Jockeys Trust. The group is a community of like-minded racing and breeding enthusiasts so when it was time to select the charity the Jockeys Trust was a pretty simple fit given the group’s interests and values. The event went really well with Pam O’Neill being on hand to award the winning prize of the raffle which was a trip for two to Melbourne for the Manikato Stakes and Cox Plate next weekend including flights and accommodation. With the help of several industry sponsors donating prizes to the raffle the group was able to raise $1673 for the charity. They look forward to a bigger and better event in 2019. Feel free to search for them on Facebook and join the ever-growing group to get involved with some of their promotions including free to enter weekly tipping competitions and overall chat about all things racing.